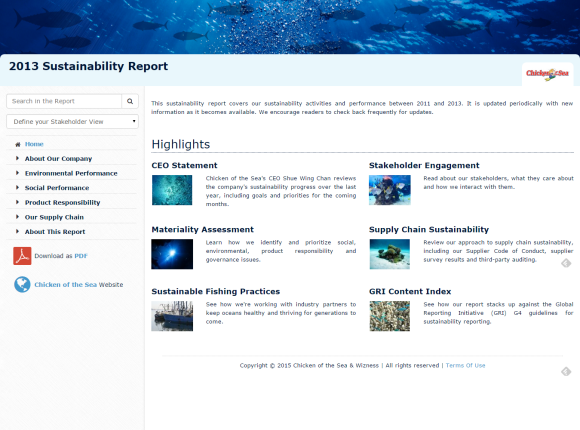 Chicken of the Sea used Publisher’s G4 template for its 2013 sustainability report. 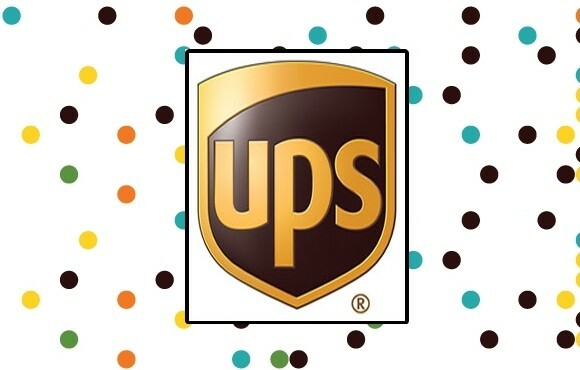 The company is a California-based leading provider of packaged seafood. 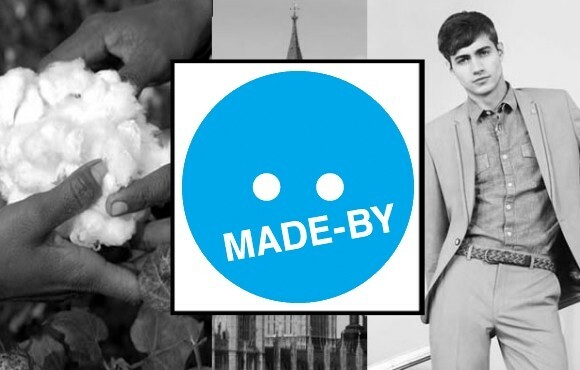 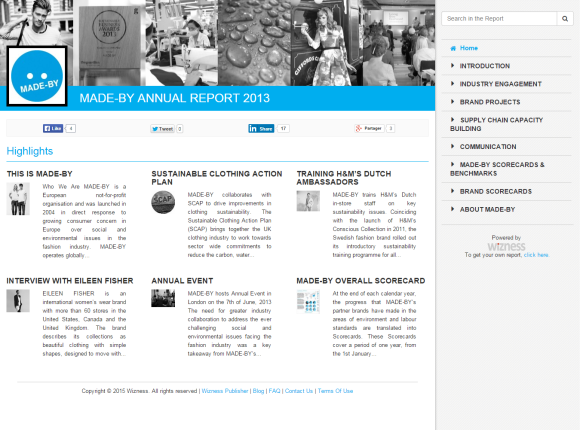 MADE-BY, a distribution company focusing on ethical fashion, chose Publisher to carry out its annual reporting for 2013. 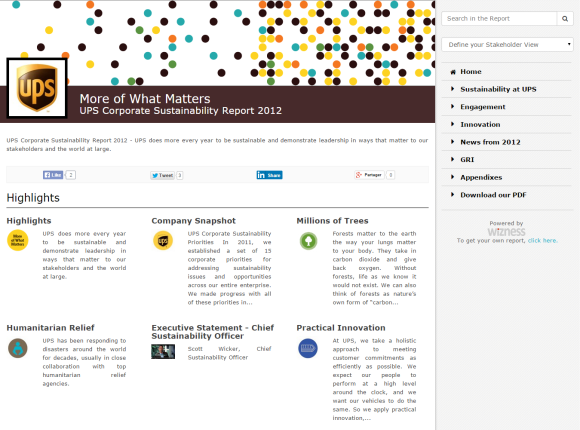 UPS, one of the largest shipment and logistics companies in the world, chose to publish its 2012 sustainability report though Publisher. 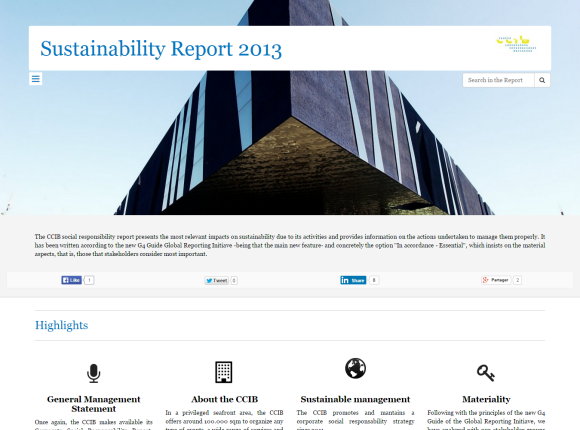 CCIB, Barcelona's International Center of Conventions (one of the most advanced of its type), chose the GRI G4 Template for its 2013 sustainability report. 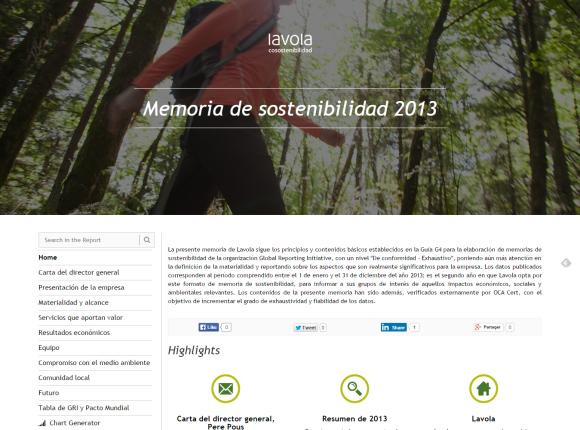 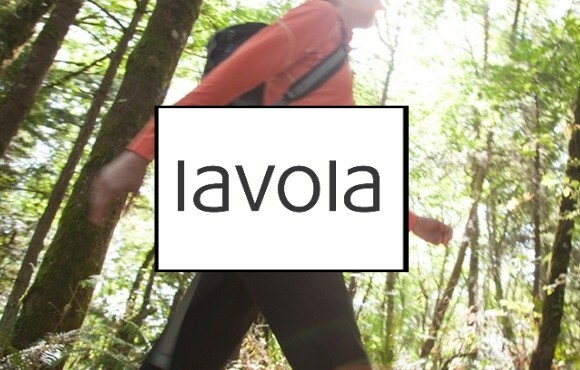 Lavola, a Barcelona-based leading sustainability consultancy for the past 30 years, used Publisher's GRI G4 template for its 2013 sustainability report. 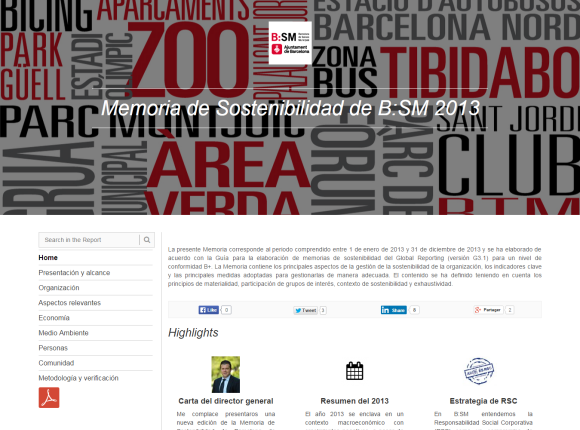 B:SM; the limited public company in charge of Barcelona's municipal services, used Publisher's GRI G4 template to create its 2013 sustainability report. 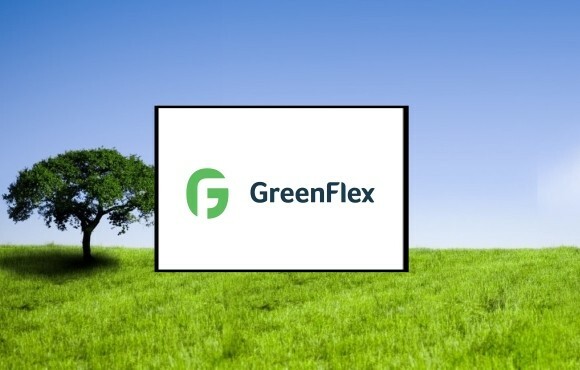 Greenflex is one of the most well-known Sustainability and CSR consultancies in Paris and it used the Publisher to carry out its reporting tasks for 2013. 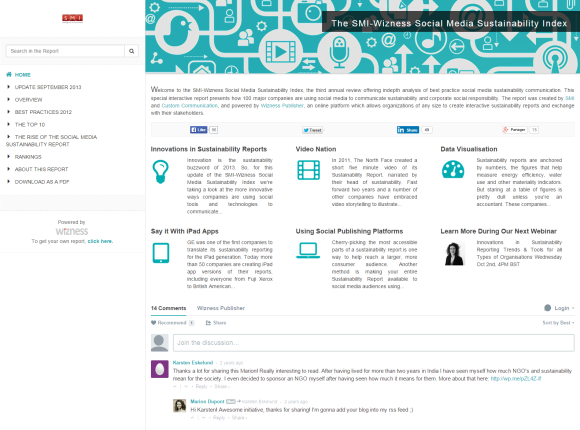 This research report, created by the consultancy SMI, is powered by the Publisher and presents how 100 companies use social media for sustainability and CSR. 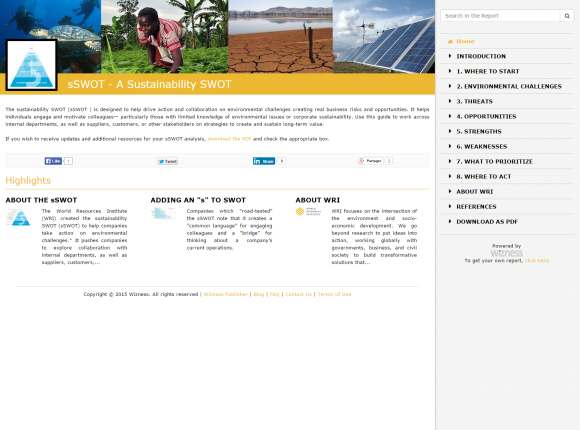 The World Resources Institute created the sustainability SWOT to address companies’ environmental challenges and published its report through Publisher. 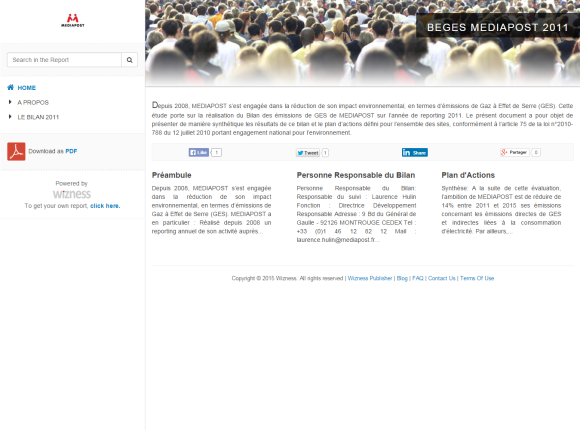 Mediapost, a subsidiary of “La Poste”, the main mail service in France, created its 2011 GHG report using Publisher’s Article 75 template. 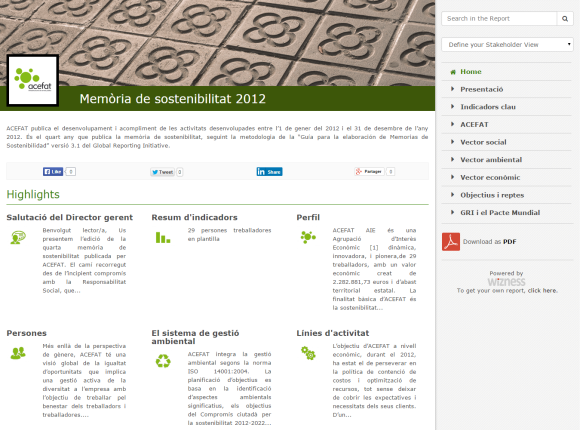 ACEFAT, focused on integrated management projects for works on Barcelona’s public highways, created its 2012 Sustainability Report using the Publisher. 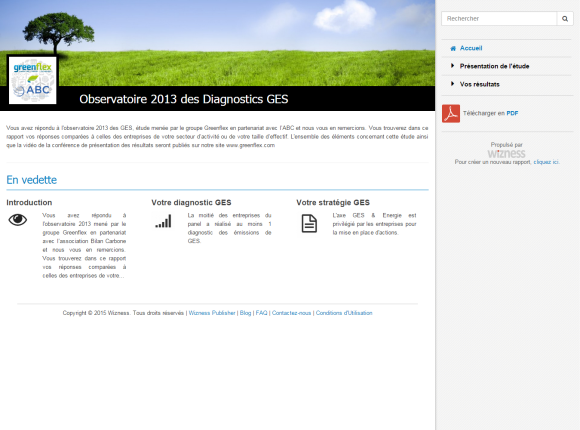 Want a report as good as the ones above?